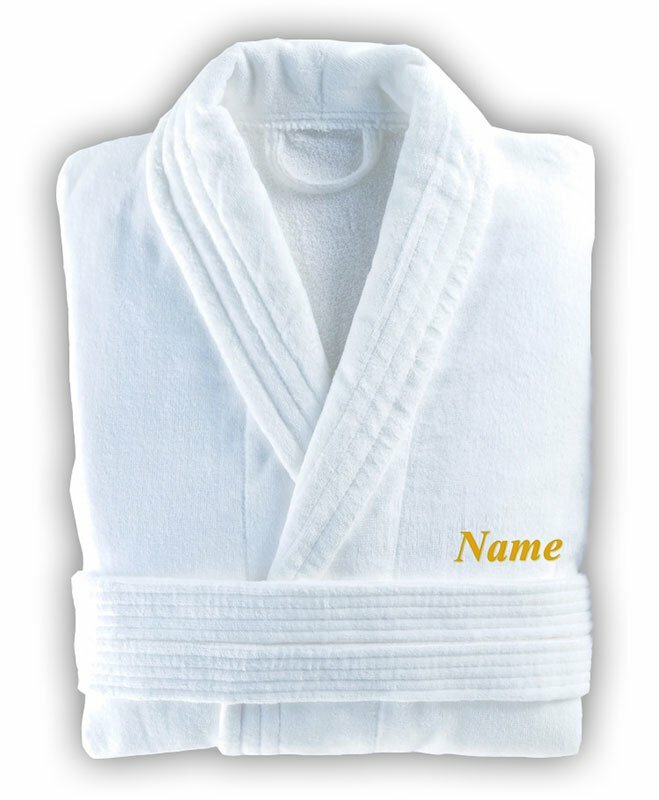 Treat your recipient to luxury with our personalised bathrobes. 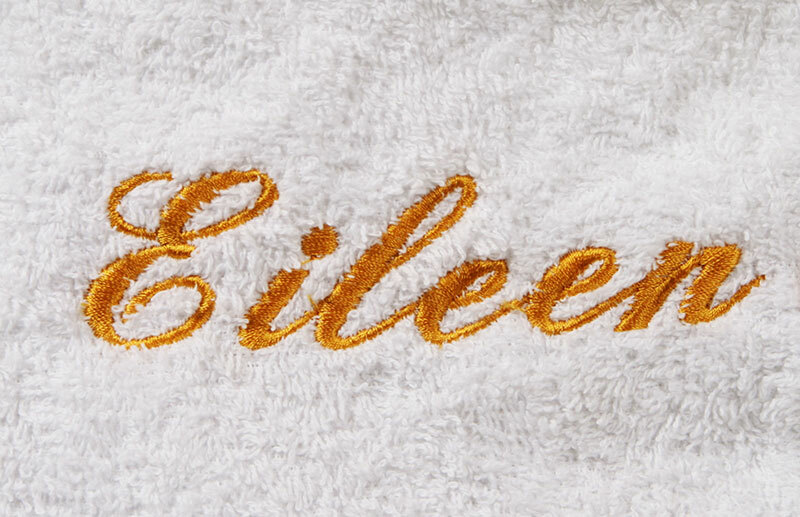 Embroidered with your recipient's name on the front left breast with rich gold viscose thread. 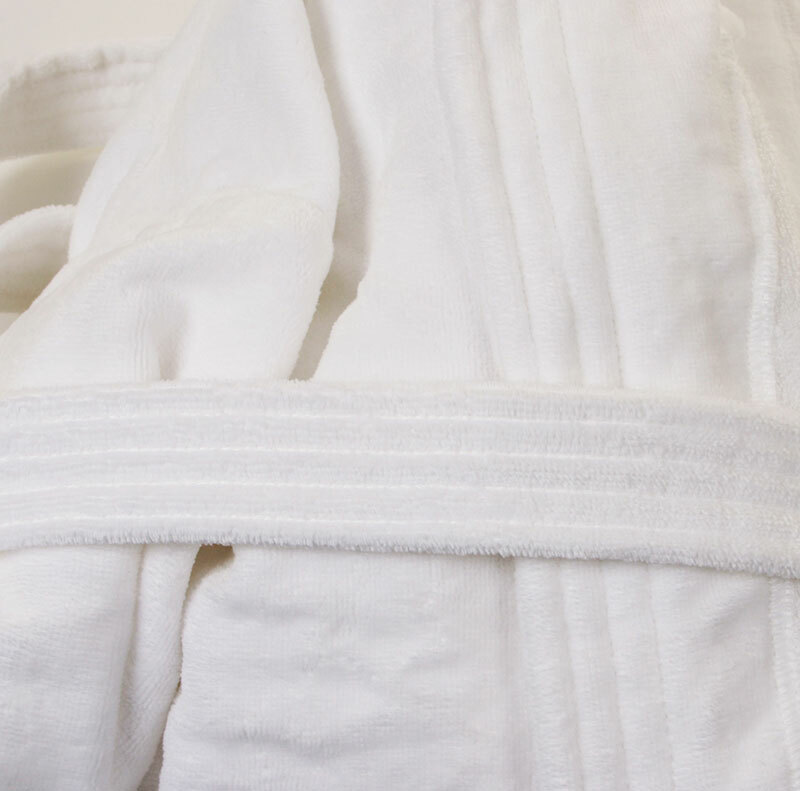 The robes come in two sizes and are large fitting.